Based in Leeds, the creative hub of Yorkshire, PLG use state of the art software and hardware combined with traditional skills. 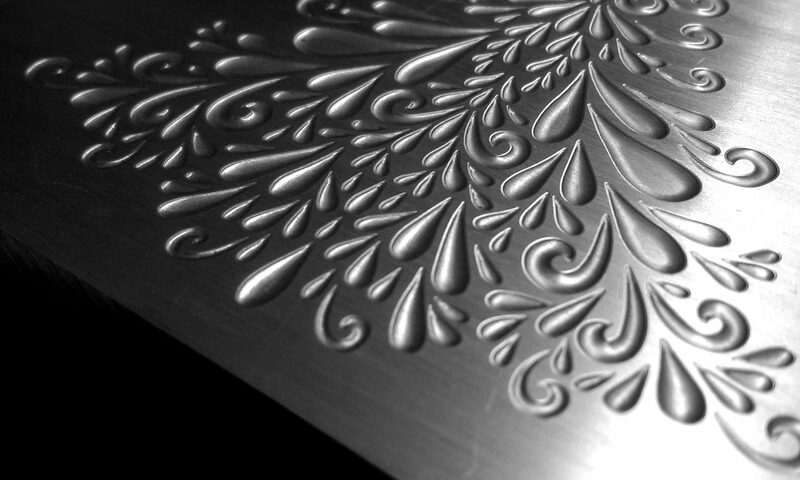 We produce beautiful embossing and hot foil dies and we pride ourselves on fast turnaround of dies, efficiency and flexibility. Our CNC machining department has a highly skilled staff of operators meaning high quality emboss dies and counterforces are quickly programmed and machined. Our magnesium foil dies are usually turned around same day from our advanced etching plant with multiple etching baths. PLG (Premier Leeds Group) was formed following a merger of two long established companies in 2006. Leeds Engraving Company was formed in 1952, and Premier Graphics in 1983, so experienced staff are in abundance. In 2017 Northmeade CNC also merged into PLG, expanding our skill base and programming capacity. There’s never been a better time to order kliches from us!